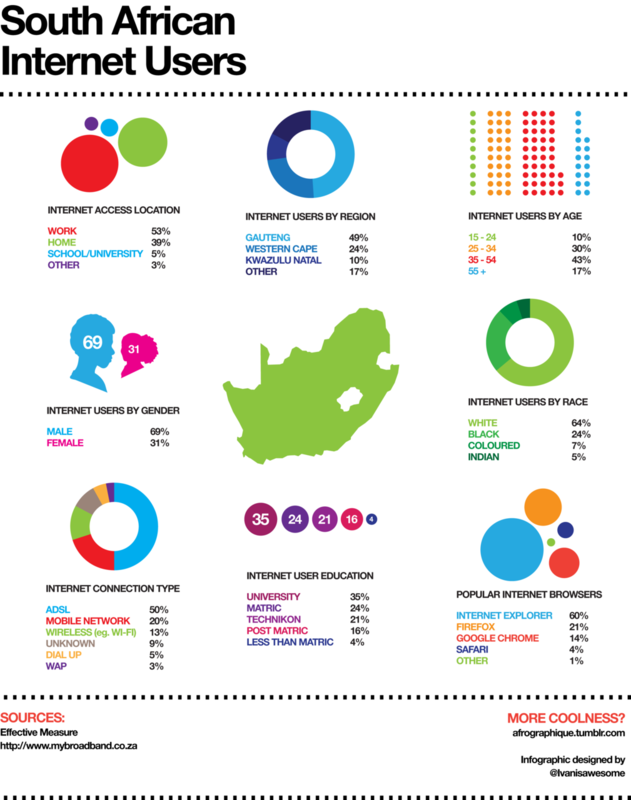 Internet usage in South Africa is set to reach 23 million internet users by the end of 2014. Here is a useful inforgraphic showing internet usage demographics such as age and gender. If your business does not have an online presence, then get started now.